Notino caters to all your fragrance needs and wishes. Shop for luxury perfume by Chanel, Marc Jacobs, Chloe, Gucci and other popular brands as well as Niche perfume brands like Ralph Lauren, Tommy Hilfiger or Gucci. Remember a beautiful fragrance is the ultimate accessory. Find your signature scent, express your personality and give your outfit the final touch. Whether you want to smell clean and fresh, delicate and floral, sweet and uplifting or spicy and mysterious, on Notino you will find exactly the fragrance that you're looking for. Afraid of commitment or trying to save money? While all our prices are very affordable, you can opt for a perfume tester and get the same fragrance by the same brand in a slightly different packaging. Or you can try a scent samples before you purchase some new perfume. 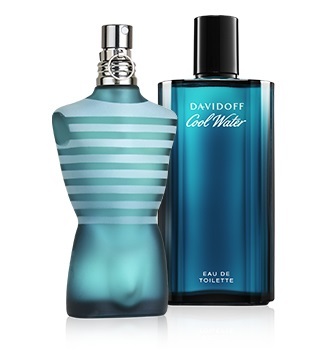 Also check our fragrance sales for the cheapest price.